If you thought last weekend was crazy, just wait until Saturday. From the opening event of the 2018 IAAF World Indoor Tour in Karlsruhe, Germany, to the U.S. Cross Country Championships in Tallahassee to the Camel City Elite Races in Winston-Salem to the Millrose Games in New York, this weekend is jam-packed with world-class running, jumping, and throwing. And the good news is that all of this takes place on Saturday, leaving your Sunday free to watch the Super Bowl. The highlights on the track include a couple of marquee miles. At Camel City, the red-hot Edward Cheserek takes on hometown favorite Craig Engels in a race that could be worth up to $9,000 for the winner. In New York, two-time Olympic medalist Nick Willis tries for his first Wanamaker Mile title in his sixth attempt. In Tallahassee, Galen Rupp (first XC race since 2011), Evan Jager (first XC race since 2006), and Jordan Hasay (first XC race since 2012) will all be running their first cross country races after significant absences. And in Karlsruhe, a 1500 showdown between world record holder Genzebe Dibaba and 20-year-old German sensation Konstanze Klosterhalfen is the headline event. Plus there will be tons of athletes trying to hit standards for next month’s World Indoor Championships; with the window closing the day after the US Champs (February 19), there’s not much time left. We have a separate Millrose preview coming and will have on-site coverage from New York for Friday’s press conference and Saturday’s meet, so this article will deal with all of the weekend’s non-Millrose events. All events on Saturday, February 3. We present them to you in the order they take place. UPDATE: Jordan Hasay has announced she is not racing on Saturday (officially, she was never actually entered). Normally when there’s no World Cross Country Championships to qualify for, the fields at USA XC are watered down. Does anyone remember who won the USA XC titles in 2016? Craig Lutz and Mattie Suver. Not exactly household names. This year will be different. In addition to proven cross country stud and defending champ Leonard Korir, Olympic medalists Galen Rupp and Evan Jager will also be suiting up. There’s talent on the women’s side too, with World Championship medalists Emily Infeld and Courtney Frerichs both on among the entries. The Oregon Project also tweeted that Jordan Hasay will be running, though as of Thursday, she was not listed on the USATF site. Plus there’s 2015 NCAA XC champ Molly Seidel, who was in good form last fall. On the men’s side, we know Korir is fit as he won the Great Edinburgh XCountry on January 13. His last race before that was even better as he ran 59:52 at the New Delhi Half Marathon on November 19, becoming just the second American under 60:00 in the half. He starts as the favorite. A couple of Korir’s training partners also figure to be dangerous: Stanley Kebenei was 2nd at USA XC last year and 5th at Worlds in the steeple, while Haron Lagat ran 61:01 at the Houston Half three weeks ago. Rupp is, of course, the last American man to win the NCAA cross country title (the 10-year anniversary of his victory is this November) and the greatest American distance runner of his generation. He tuned up for this race by running a relaxed 13:34 indoor 5k last week in Seattle and is always a threat to win any domestic race he enters. However, Rupp is a full-time marathoner at this point, and with Boston 10 weeks away, he certainly won’t be peaking for this race. In last year’s USA 10,000 final, Rupp struggled dropping down in distance to take on the track specialists, and that could happen again here. The field isn’t as strong as it was in Sacramento, but there’s enough talent to make it difficult for Rupp. Finally, there’s Evan Jager from Bowerman Track Club. 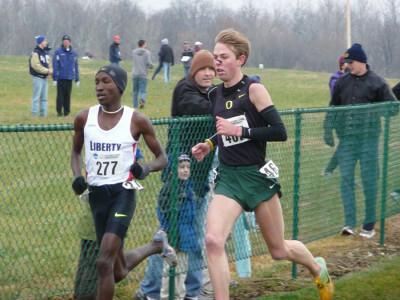 His last serious cross country race was the 2006 Foot Locker Midwest Regional, where Jager faded to 15th place after leading at two miles (there were some familiar faces in that race; Hassan Mead was the champion while Chris Derrick finished 18th, four seconds behind Jager). Jager has always been far more than a steeplechaser — he made the US’s World Championship team at 5,000 as a 20-year-old and owns a 13:02 5,000 personal best — but he’s totally untested in a 10k cross country race. It will be fun to see what he can do. 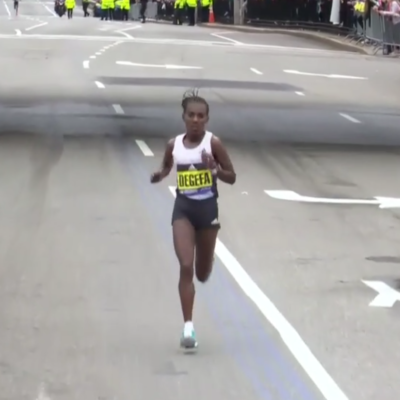 In the women’s race, a victory by Hasay would be a mild surprise. 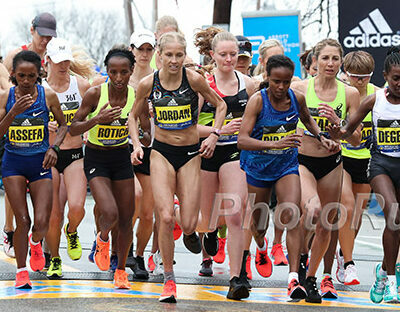 While she has undoubtedly found big success in the marathon, she doesn’t have anywhere close to the resume of someone like Rupp over shorter distances and with other talented women in the field like Emily Infeld, Courtney Frerichs, and Molly Seidel, we’d certainly take the field over Hasay. However, Hasay definitely could win as she’s got a great pedigree — three times she was top 5 at NCAA XC, plus two Foot Locker titles in HS — and the 10k distance will suit her better than the 6k distance that was run at the collegiate level. Frerichs is one of just two returners from the top 12 of last year’s race (Frerichs was 4th; 7th-place Stephanie Bruce is the other) and all she did was improve after that race, putting together the best season of her life, culminating in a 16-second personal best and silver medal in the steeple at Worlds. In college, Frerichs was a capable XC runner — a three-time All-American with a best finish of 4th in 2015. Seidel, the 2015 NCAA XC winner (beating Frerichs by 19 seconds in that race), has battled a string of injuries over the last few years, but she’s been training well since making her professional debut with a win at the Mayor’s Cup XC in Boston in October. Since then, she has competed well on the roads and was the top American in at Great Edinburgh XCountry. She also has some experience on the Tallahassee course, having won ACCs there in 2015 and more importantly a big-time XC pedigree. She won four cross country state titles in high school and is the only woman ever to win both the Foot Locker XC champs (2011) and NCAA XC champs (2015). (LRC Archive: Molly Seidel Breaks The Foot Locker Curse And New Mexico Makes History At 2015 NCAA Cross-Country Championships). The favorite, however, is another injury-plagued runner — Emily Infeld. Infeld is the best 10k runner of the trio and has some impressive XC chops as well as she was three times top 10 at NCAAs, twice finishing ahead of Hasay (Infeld’s highest finished was 2nd in 2010) while at Georgetown and was 21st at World XC in 2013. She did miss some workouts earlier this month with a hamstring issue but Infeld has repeatedly produced big performances after interruptions in training through the years. LRC prediction: Korir was better than Rupp at 10k last summer and given the fact that he recently broke 60 flat for the half, we think he defends his title in the men’s race. That being said, if you think Rupp at “31” is too old to win then you don’t want t pick Korir as he’s also 31 and just 216 days younger than Rupp. If Infeld is at her best in the women’s race, we like her to win, but given that we know Seidel is in shape, she’s our pick. One other thing. We’d love to hear from Rupp why he’s doing this race. Any chance he’s working on legacy building? A USXCc title would be a nice addition to the CV even in an “off year.” We always wished he’d raced World XC during his prime. Now it will be hard to do with his marathon schedule. Who wins the men's race at 2018 USA XC? Who wins the women's race at 2018 USA XC? How to watch: Live on the IAAF’s Facebook page or YouTube channel. That stream will work anywhere in the world except for Germany — where the meet will air on SPORT1 — and Argentina and Brazil (sorry). From a distance fan’s perspective, there are three races in Karlsruhe worth watching. After coming up .48 short of the IAAF standard last week in New York, Erik Sowinski heads to Europe to try to run 1:46.50 or faster. The field, with World Championship bronze medalist Kipyegon Bett and 1:43 man Marcin Lewandowski, should be fast enough. As long as they go with rabbit Bram Som (who’s tasked with hitting 400 in 52) and Sowinski can manage the traffic on the track, the time should be there for the taking. LRC Prediction: Sowinski doesn’t win but gets the standard. 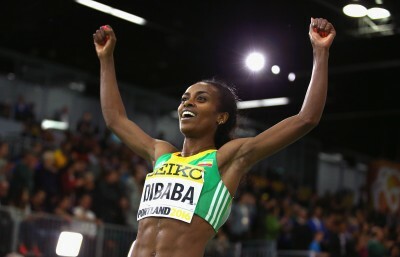 Genzebe Dibaba is the world record holder both indoors (3:55.17) and outdoors (3:50.07) and has set at least one world record indoors in each of the past four years, including the 1500 mark on this track in 2014. So she’s going to be fit this time of year. Konstanze Klosterhalfen, who ran 3:58 outdoors last year, will be the home-nation favorite and is not afraid to take it to anyone, even a world record holder such as Dibaba. Throw in Angelika Cichocka (who won the Rabat Diamond League last year) and all-around stud Beatrice Chepkoech (8:59 steeple, 8:28 3k, 14:39 5k) and this should be quite a race. This race is packed with studs. Hagos Gebrhiwet is a three-time global medalist at 5,000 meters returning from injury for his first race since April 2017. New NOP member Yomif Kejelcha is the reigning World Indoor champion in the 3k, while Jakub Holusa, Abdelaati Iguider, Silas Kiplagat, and Edwin Soi have all medalled at either World Indoors, World Outdoors, or the Olympics (or in Iguider’s case, all three). 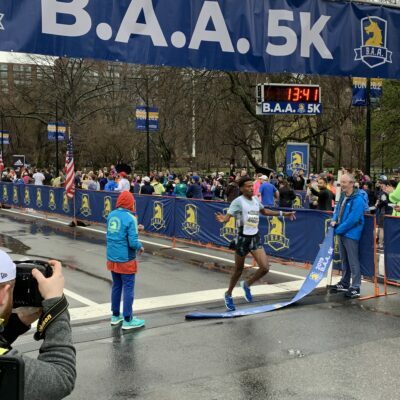 With the rabbits set to take the field through 2k in 5:04 (7:36 pace), expect to see a competitive race and a new world leader (currently Shadrack Kipchirchir‘s 7:42). LRC Prediction: We recently labeled Yomif Kejelcha the heir apparent to Mo Farah so we think he wins here. Okay, before we get started talking about Camel City, can we just say that we love this meet and don’t understand why it’s not broadcast on TV instead of the Dr. Sander Invite? There is big-time prize money — $60,000 — and it needs to be on TV. Here is the prize money offered for the 800s, miles and 3ks. That’s incredible. However, we don’t have time to break all the races down for you. The highlight by far is the men’s mile, which we break down in great detail below. The entrants in the other pro races are listed below as well. If you want bios of all the runners, check out the meet website or click on the links below, which give you a bio of every runner in an elite race). EMILY RICHARDS | Ohio Northern (Editor’s note: Here is a feature on Richards). As shown above, there several pro races at Camel City, but the crown jewel is the men’s Camel City Mile, which has become significantly more interesting in the past week. 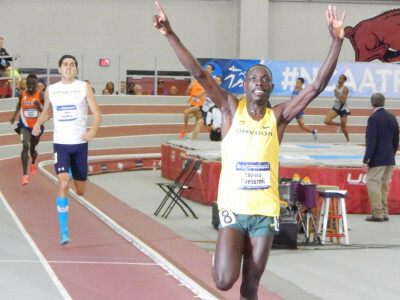 It began on Saturday, when Edward Cheserek blasted a 3:54 mile at 5,300 feet in Albuquerque. As if the time weren’t impressive enough, he won the race by over six seconds — and the runner-up was reigning US indoor mile champ Ben Blankenship. The reports we’ve heard from Flagstaff is that Cheserek is very fit right now — he’s been running some phenomenal workouts and is in even better shape than when he set his 3:52.01 NCAA mile record last year — so he will go off as the favorite on Saturday. Initially, it looked as if Cheserek would be on his own in this race, but hometown favorite Craig Engels, who was initially entered in the 800, switched to the mile to take another crack at the 3:55.00 World Indoor standard. Engels won at the Dr. Sander Invite last week in 3:57.35 and looked as if he could have gone faster; with Cheserek to push him, he has a good shot at the standard, even on Camel City’s flat track. Finally, Paul Chelimo decided to hop in the mile as well, though he won’t be 100% as he’s doubling back from the 3k (he’ll have about 52 minutes’ rest). It will be extremely difficult for him to beat a fresh Cheserek and Engels, but he should still be able to officially join the sub-4:00 club (Chelimo’s official PR is 4:02). Kudos to JDL Fast Track owner David Shannon and facility director Craig Longhurst for putting some serious cash on the line in this one — a big reason why Engels stayed in the meet, even though his agent Ray Flynn is the meet director at Millrose. The winner of the race gets $6,000, but there’s a $1,000 bonus if the winning time is sub-3:58 and an additional $1,000 bonus if the winner breaks the facility record of 3:54.02. Plus anyone who hits the World Indoor standard of 3:55.00 nets another $1,000. So all told, if the winner runs 3:54.01 or faster, he’ll take home $9,000 — a massive amount for an indoor meet. We should note, however, that 3:54.02 on this track is a very good mark: it was set by Matthew Centrowitz the same year he claimed World Indoor and Olympic titles. 2012 Olympic silver medalist Leo Manzano is also entered, and while he has struggled mightily in the mile over the past two years, we will be keeping a close eye on him as he just ran an indoor PR of 1:48 in the 800. That being said, the big time bonuses may not help Manzano as he’s lethal in races that are tactical where he has a chance to win. LRC prediction: Considering how good Cheserek looked last week and how much cash in on the line, we think he goes after sub-3:54 and gets it and Engels follows him under the World Indoor standard. That being said, it’s crazy they don’t just switch this race to a 1500 (we imagine they will take a 1500 split in it) as the 1500 standard for World indoors of 3:39.50 is way easier than the mile standard (a 3:39.50 1500 is equivalent to about 3:57 for the mile). And even if they take a 1500 split mid-race, it’s still harder to do than just running a straight 1500. Last week, for example, Engels won in NY in 3:57.35 but his 1500 split was 3:42.12. So if he was going to split 3:39.50 mid-race, he’d have to run basically sub-3:55 anyway. How fast does the winner run at Camel City? Talk about this weekend’s action our messageboard.